Size: width 36 in. by height 28 in. George Tremblay was born in Baie-Saint-Paul, Quebec in 1902. He studied art at the l’École des Arts Domestiques de Quebec and in Pointe-au-Pic, Quebec. 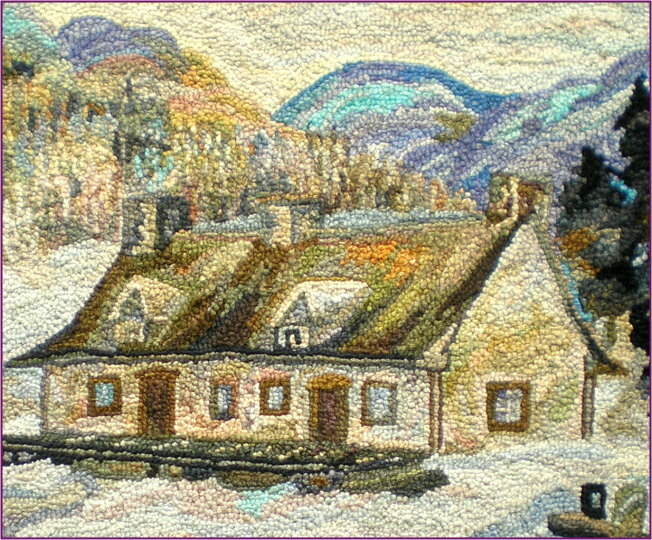 Working in wool and other fibres, he is best known for his landscape textile tapestries and hooked rugs. He also painted the Quebec landscape and genre in watercolours. 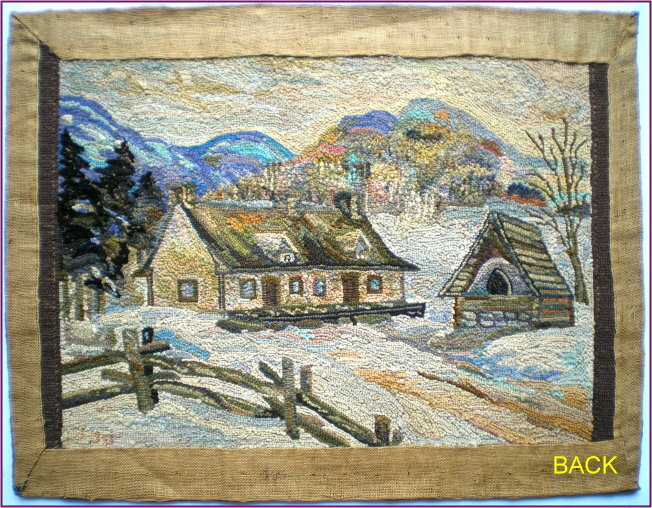 Tremblay’s textile works were exhibited at the Chateau Frontenac in Quebec, the Royal York Hotel in Toronto, the International Museum of Philadelphia in the USA as well as in many other venues in Canada and the US. 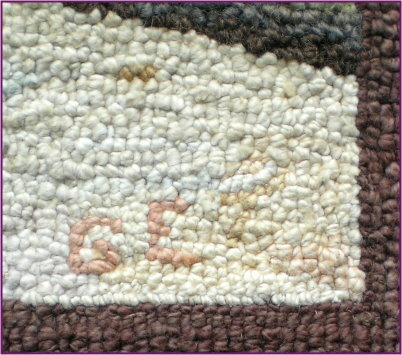 These rugs were sold in many parts of Quebec, Ontario, the Northern New England states and in New York City. 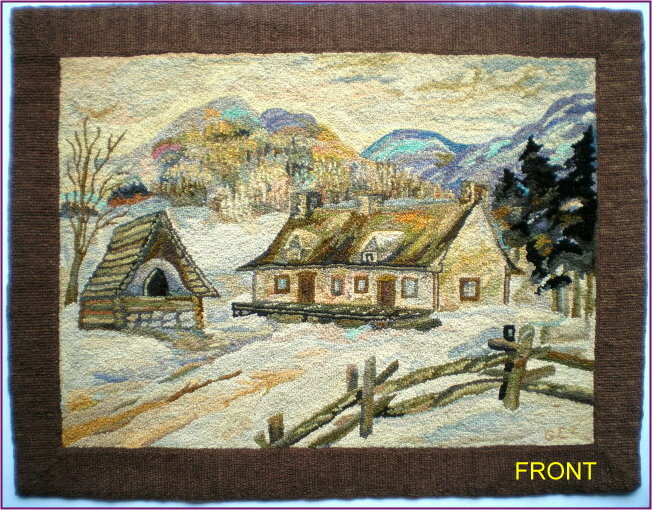 In the past decade George Tremblay’s hooked rugs have become especially sought after due to their high degree of artistic refinement and quality.